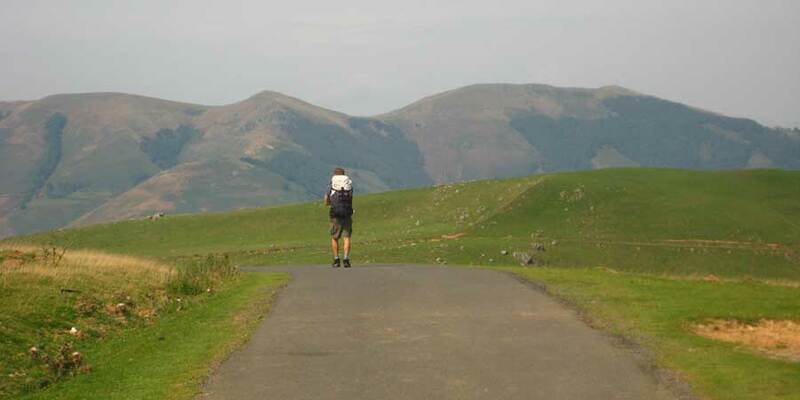 St Jean Pied de Port is one of the most significant towns on the Camino de Santiago. 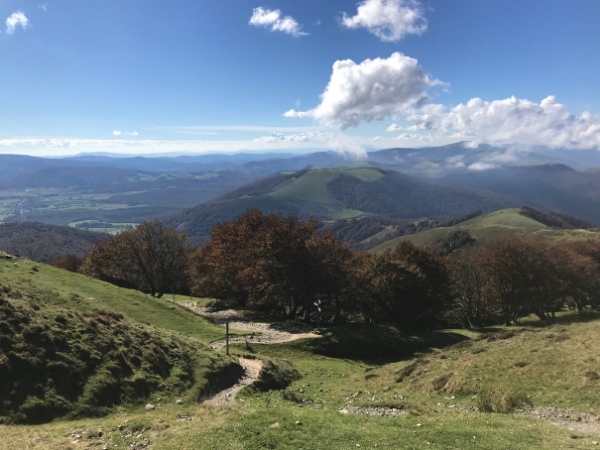 Not only is it the finishing point for Le Puy Way, Vezelay Way and the Paris-Tours Way, it also marks the start of the French Way. The town itself was founded in the 12th century after the original nearby town of Saint-Jean-le-Vieux was razed to the ground by Richard I of England. This destruction was part of a campaign which was ordered by his father King Henry II, to punish Barons who had previously fought on the side of Richard who had since reconciled with Henry. It was during this campaign that he acquired the name ‘Richard the Lionheart’. Situated strategically on a meeting of the River Nive and roads which extend into all parts of the Basque Country, the town has always been an important place for traders and pilgrims alike. Formerly the capital of the Basque region of Base-Navarre, what St Jean Pied de Port lacks in size it more than makes up for in charm. The medieval cobbled streets are lined with beautiful and unique buildings inside the old town walls. For pilgrims arriving to the town after one of the three walks which end here, they will pass through the wonderful Porte St. Jacques (St. James Gate). The 15th century gate is UNESCO World Heritage listed and sits just below the Citadelle which was built in the 1700’s. The Citadelle was strengthened later in the 18th century by Vauban as part of his process of strengthening the borders of France under Louis XIV. The cobbled Rue de la Citadelle (northside) and Rue d’Espagne (southside) both slope down to the river and are notable for their buildings with ornate wooden overhangs and balconies, which are carved with inscriptions, designs and religious symbols. At House No. 9 on Rue d’Espagne there is an inscription which records the high price of wheat in 1789, which was the same year as the Storming of the Bastille. On Rue de la Citadelle you can visit the Museum which is housed in the 16th century Maison des Evêques (Prison of the Bishops) and contains artefacts from the Camino. 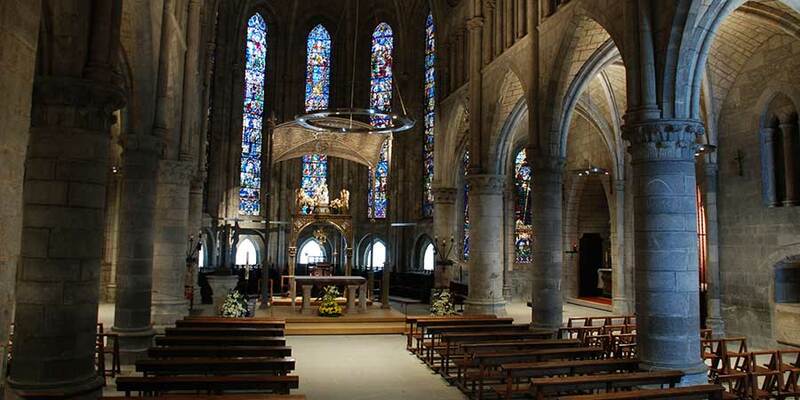 At the bottom of the street there is the beautiful 14th Century church of Notre Dame du Bout du Pont (Our Lady at the End of the Bridge), which is made of the local pink Arradoy stone and sits beside the gateway onto the bridge over the river. It is also possible to walk in the footsteps of the medieval protectors of the town by talking a stroll along the ramparts. • Basque-style baby squid and Basque-style chicken. If you are setting off on the French Way you will feel a real sense of the journey beginning as you make your way up Rue d’Espagne, away from the river and through the Porte d’Espagne in the 19th century walls. 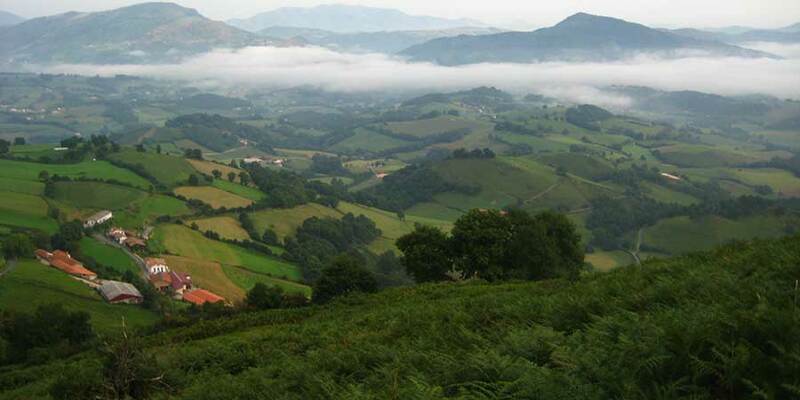 From the town you have two options for your first days walking to Roncesvalles. There is the Route de Napoleon which travels over the Pass of Roncesvalles and the Valcarlos route which is more suitable for bad weather. 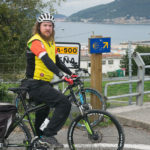 *You might also like to read our blog post: Route Napoleon or Valcarlos? 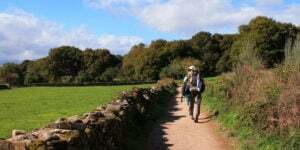 *For more information about the Camino de Santiago or to book your holiday, contact our travel specialists. 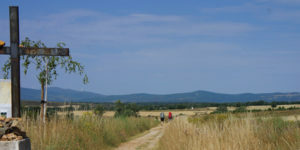 Hi jennifer, just to let you that we are interested in walking the Camino however we are not sure what section we will walk. Talk to you again at the end of Oct.